There seems to be more types of batteries in the world every year. That makes some folks question what kind of battery is in their car? Flashlights seem to have one kind of battery, while your cell phone has another. Are either one the same type of battery as the one in your car? Probably not, at least for now. The vast majority (nearly all) car batteries are some form of lead-acid battery. 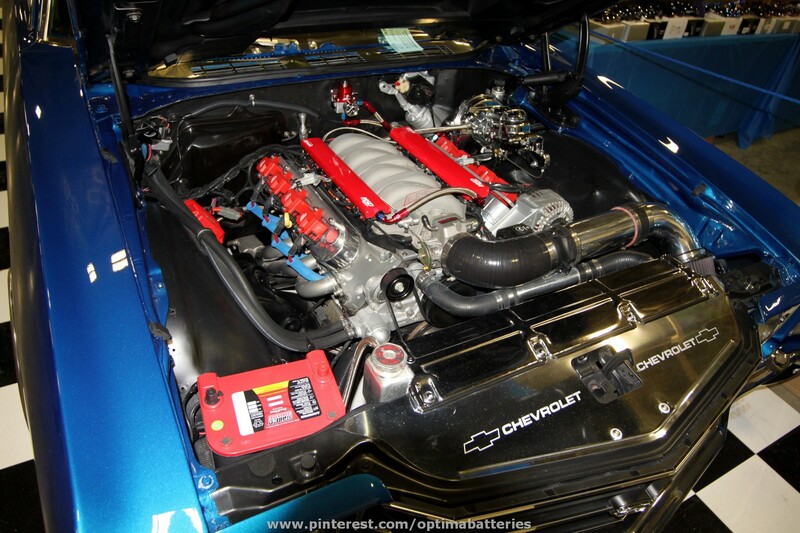 The OPTIMA REDTOP battery in this car is a SPIRALCELL lead-acid AGM battery. The acronym "AGM" stands for Absorbed Glass Mat and is also referred to as a "dry" battery, as opposed to a typical lead-acid battery that is often referred to as a "flooded" battery. 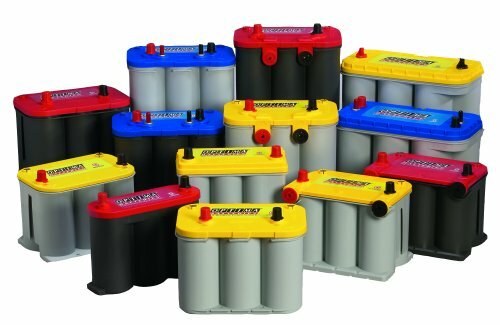 Whether a car battery is flooded or dry, they're both both typically lead-acid batteries, with plates of lead and lead dioxide and electrolyte inside a polypropylene case. In an AGM battery, the electrolyte is absorbed in a glass mat separator (hence the AGM moniker). That allows AGM batteries to be mounted in a variety of positions, whereas a flooded battery might leak or spill electrolyte, if it isn't kept upright. There is another type of lead-acid battery known as a "gel" battery, but the next one I see in an automotive application will be the first. In some cases, folks may mistakenly refer to their lead-acid battery as a gel battery or "gel cell" battery, when what they really have is an AGM battery. Even though we know the "G" in AGM stands for "Glass" many folks mistake it for meaning gel, which isn't the case at all. A few cars will have some variation of a lithium battery under the hood in place of a lead-acid battery, but they are in a very small minority. Other hybrid cars, like the Toyota Prius, will have a nickel metal hydride battery pack, but that's more of an apples and oranges discussion from a battery perspective, as the lead-acid batteries found in most cars are used to start engines and not for motive power.